The refurbishment work took place in house at Eastleigh 1989-92 and in house for latter enhancements and improvements. 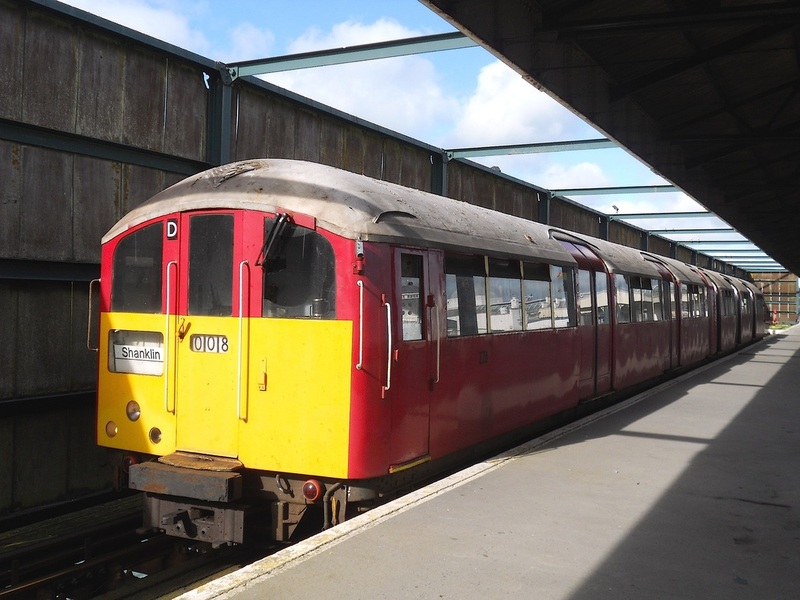 Former London Underground 1938 Tube Stock/Class 483 No. 007 at Ryde Pier Head. (c) Peter Skuce. 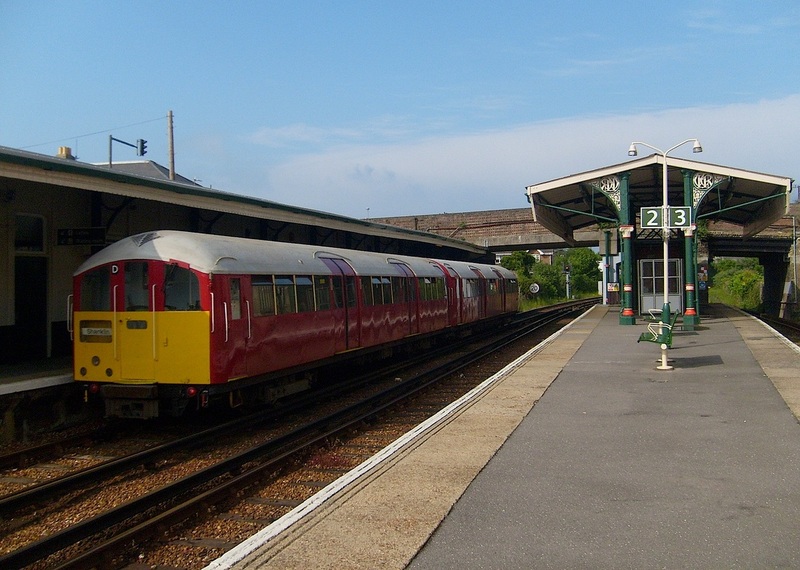 Former LU 1938 Tube Stock/Class 483 No. 007 arrives at Ryde Pier Head. (c) Peter Skuce. 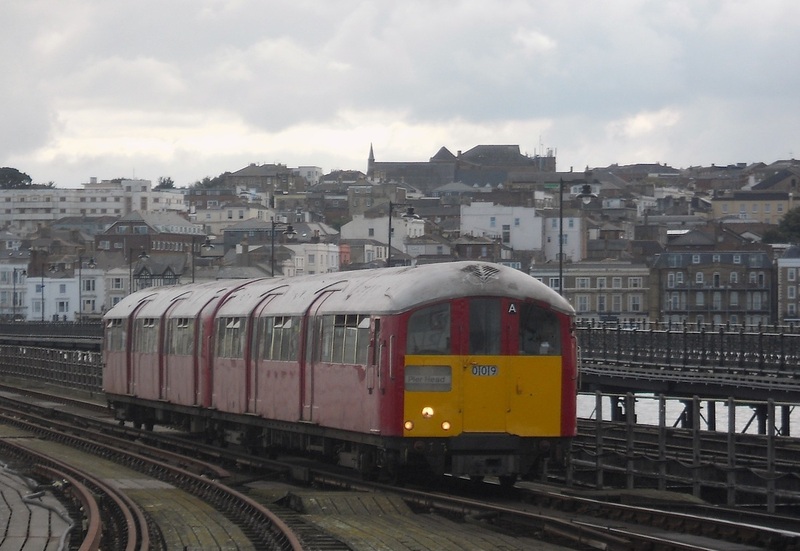 Former LU 1938 Tube Stock/Class 483 No. 004 at Ryde St. Johns Road. (c) Peter Skuce. 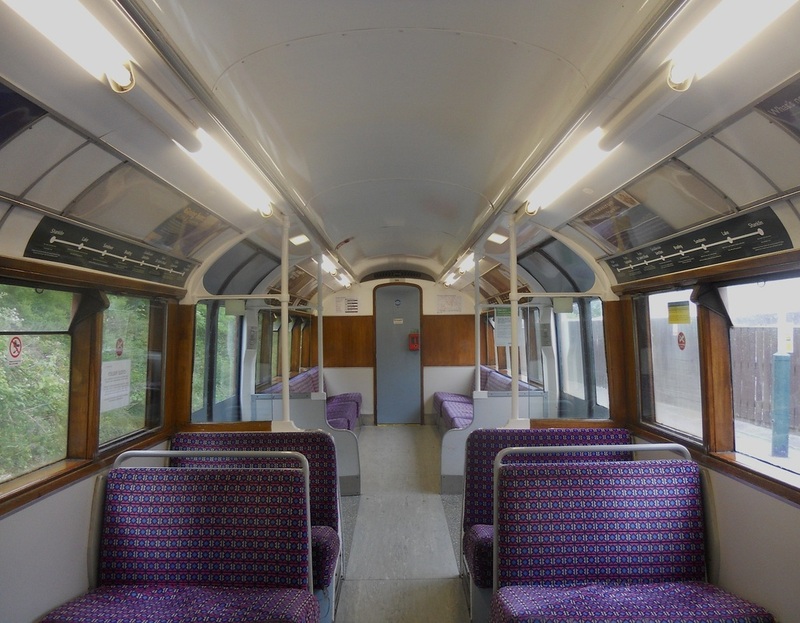 1938 Tube Stock/Class 483 No. 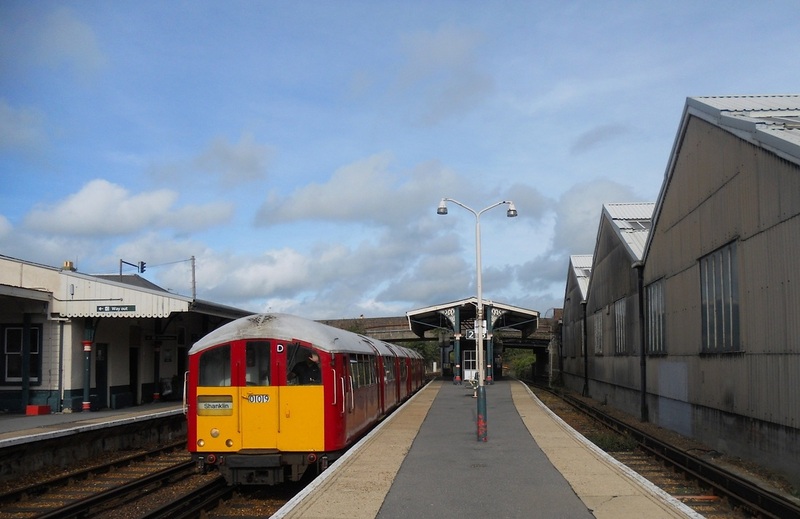 007 at Shanklin in the Summer sunshine. (c) Peter Skuce. 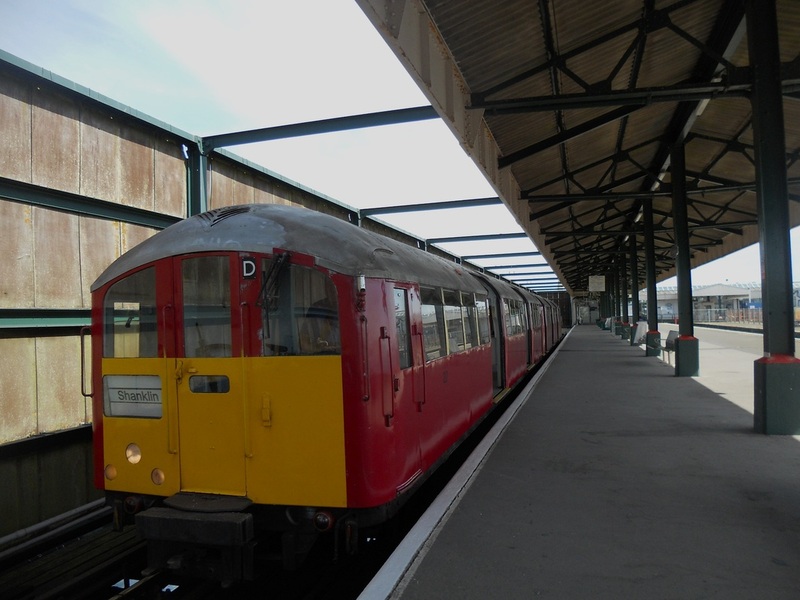 1938 Tube Stock/Class 483 No. 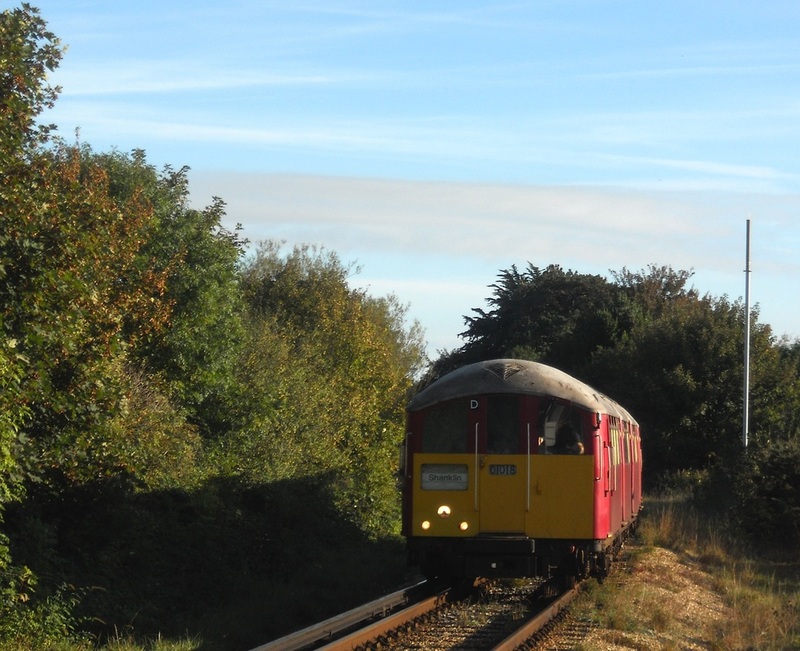 004 at Shanklin in the Autumn sunshine. (c) Peter Skuce. The refurbished interior of the former LU 1938 Tube Stock/Class 483. (c) Peter Skuce. 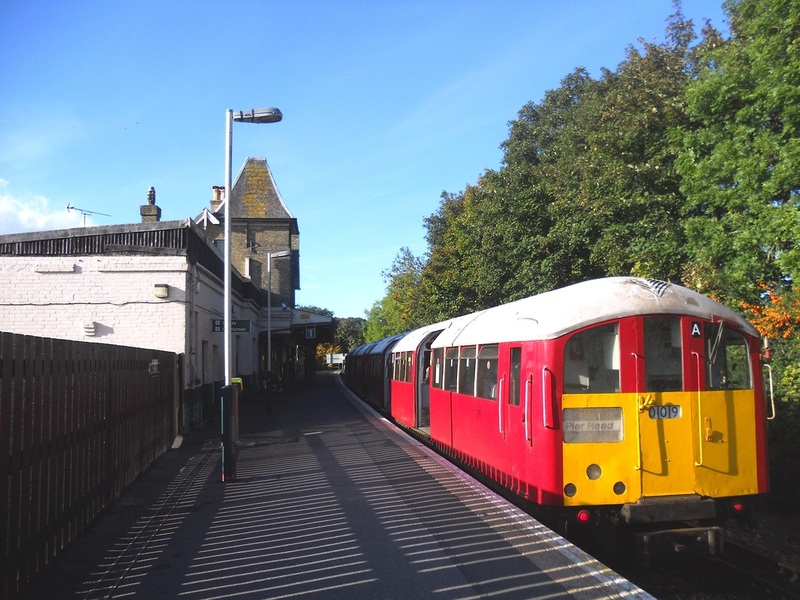 LU 1938 Tube Stock/Class 483 No. 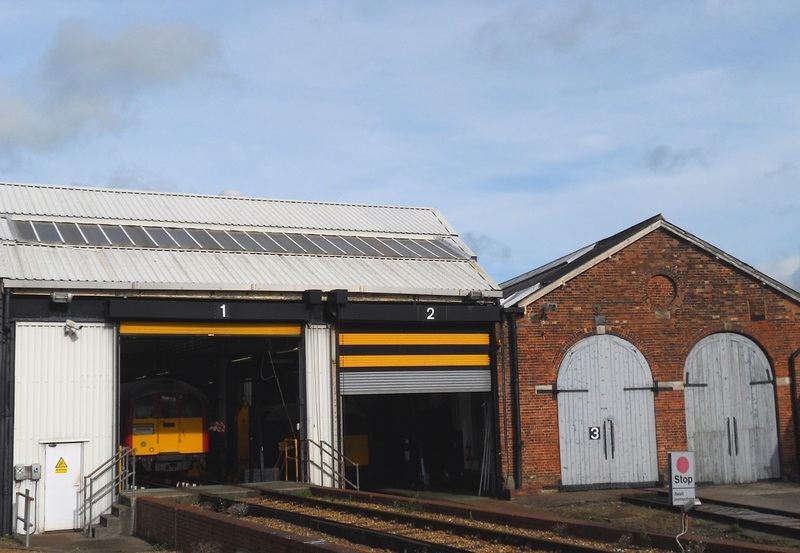 002 and 007 at Ryde Electric Depot. (c) Peter Skuce. Class 483/38 Tube Stock No. 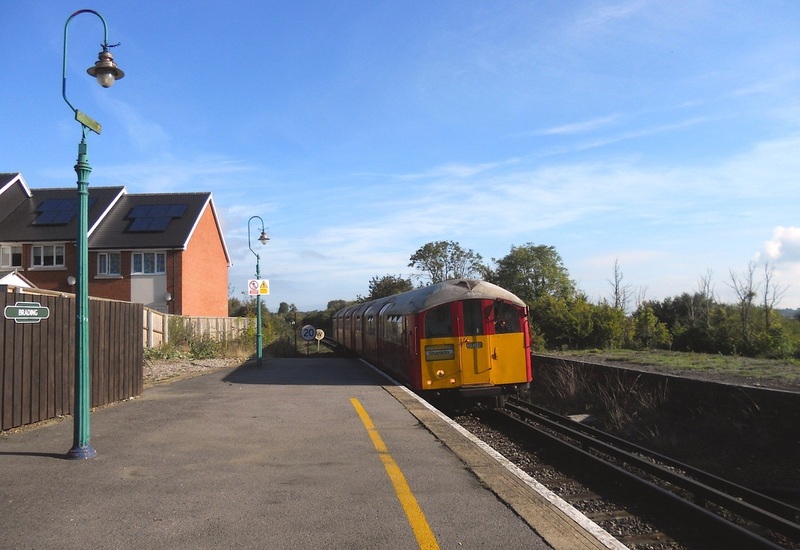 006 arrives at Bradling. (c) Peter Skuce. Class 483/38 Tube Stock No. 009 at Ryde St. Johns Road. (c) Peter Skuce. 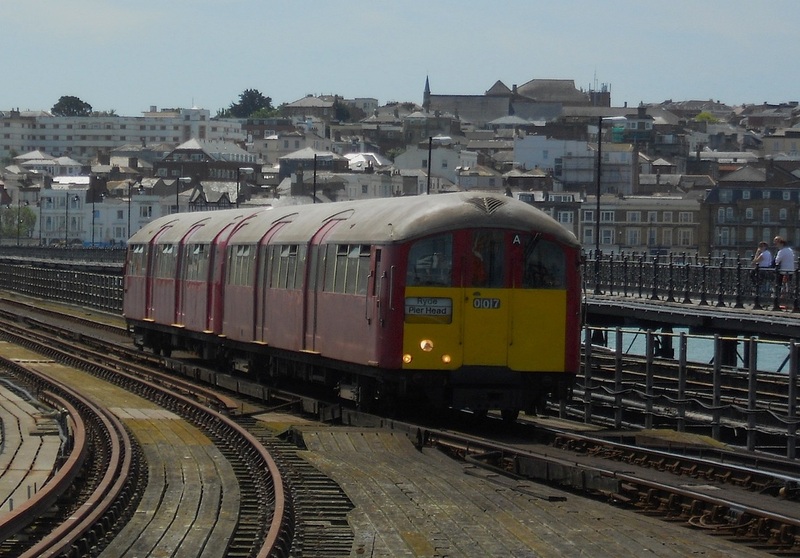 Class 483/38 Tube Stock No. 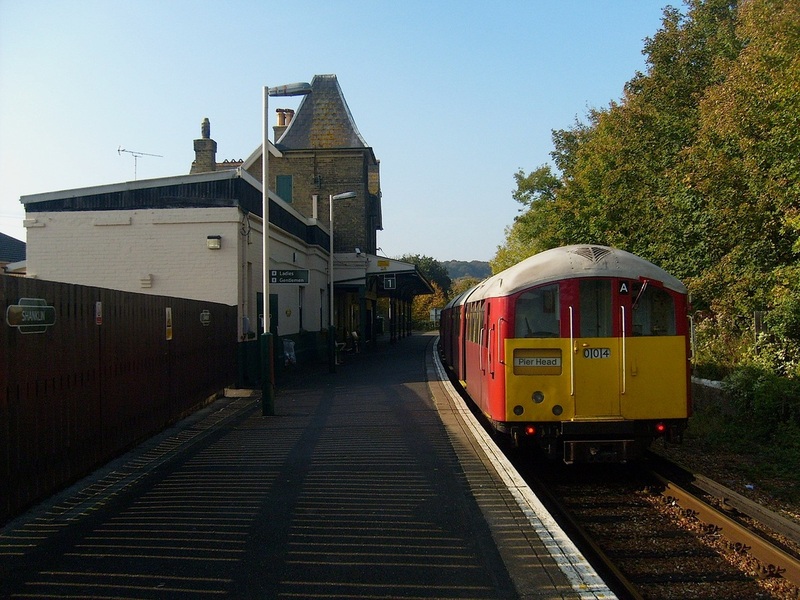 008 arrives at Shanklin. (c) Peter Skuce. Class 483/38 Tube Stock No. 009 at Ryde Esplanade. (c) Peter Skuce. Class 483/38 Tube Stock No. 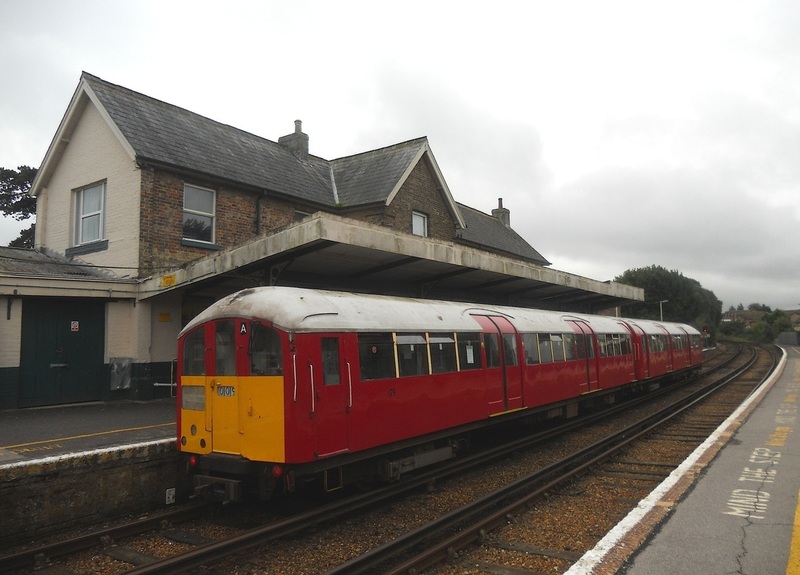 009 at Shanklin. (c) Peter Skuce. Class 483/38 Tube Stock No. 009 at Sandown. (c) Peter Skuce. Class 483/38 Tube Stock No. 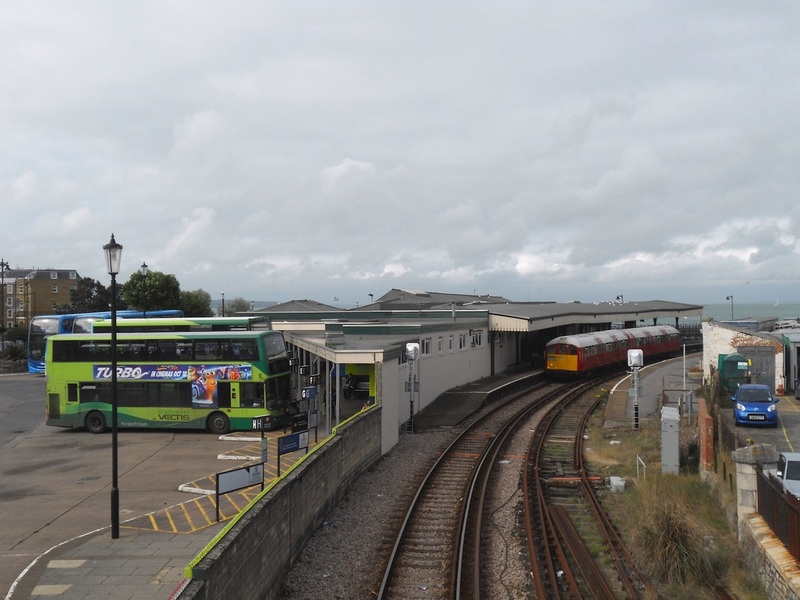 009 arrives at Ryde Pier Head. (c) Peter Skuce. Class 483/38 Tube Stock No. 008 at Ryde Pier Head. (c) Peter Skuce. 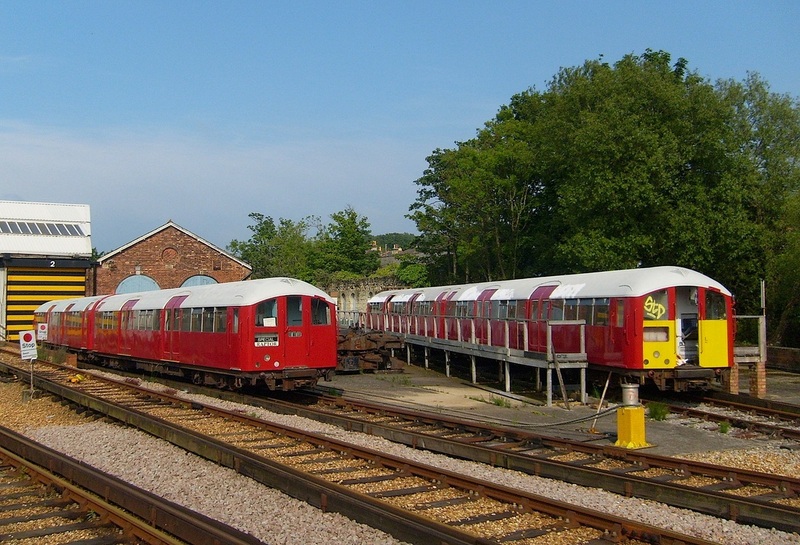 Ryde Electric Depot with Class 483/38 Tube Stock EMU trains 007 and 004 on site - No. 007 later went on standby whilst No. 004 was receiving routine maintenance. (c) Peter Skuce. 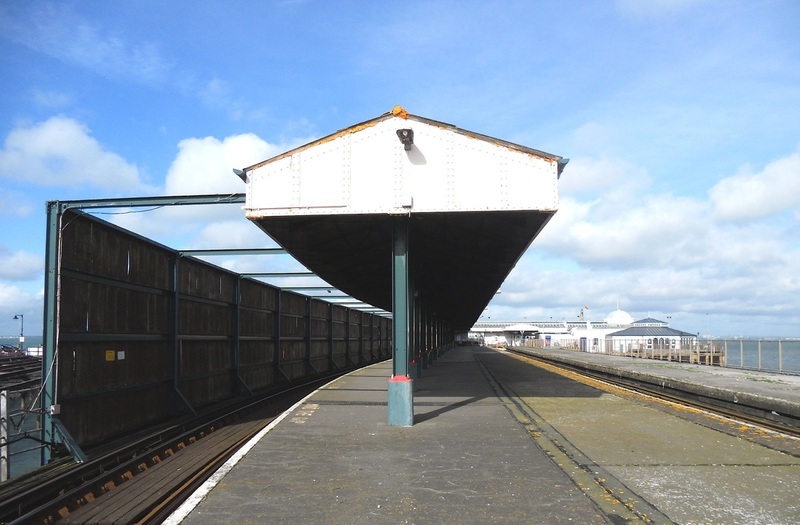 Ryde Pier Head Station. (c) Peter Skuce.